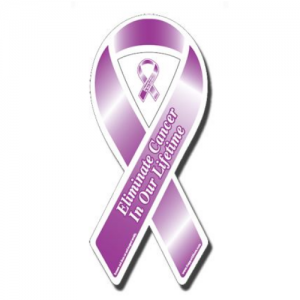 Wear your cause on your sleeve…or your lapel! 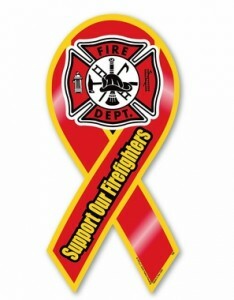 Lapel pins are a classy way to show your support for your favorite cause everywhere you go. 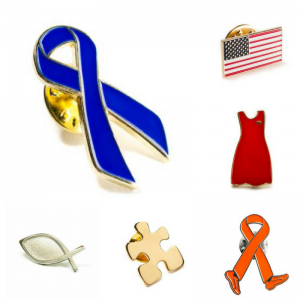 We carry a broad selection of lapel pins to fit any need: ribbon pins for cause awareness; American flag and other patriotic pins; cause specific symbols like the autism puzzle piece and heart disease red dress; walking ribbon pins for those who participate in fundraising walks and runs; Christian focused pins; and other cancer awareness focused lapel pins for your next cause event. On Sale Now! Save 10% on all Lapel Pins through February 3, 2018. No coupon required. Discount instantly applies at checkout. 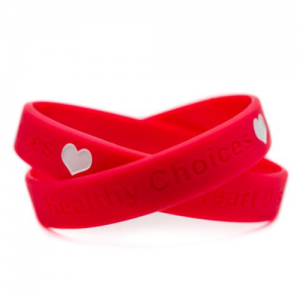 Our Matte Silver Metal Rubber Wristband Bangle was designed to be an elegant addition to our rubber wristbands. 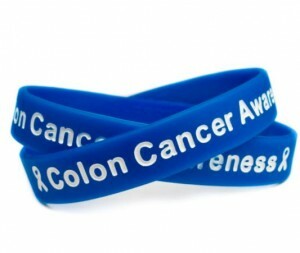 Add any wristband to the bangle and change it out to coordinate with your wardrobe or with different awareness months. 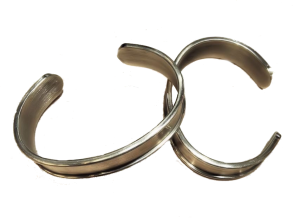 The bangle fits most wrists, and you can even bend the shape to your preferred size. 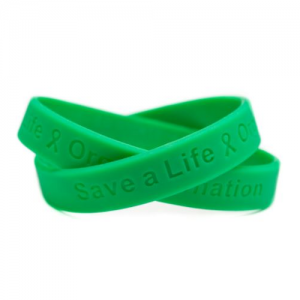 Put the bangle on your wrist, then slide your favorite wristband over the top. The raised edges of the bangle add a shiny silver look and keep the band in place. Comes in a protective bag inside a velour draw string bag, and is lead and nickel free. Price: $9.95 or less when you buy 2 or more. 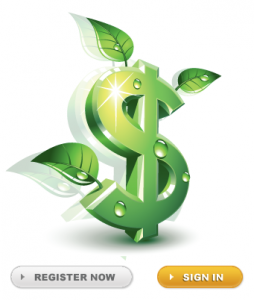 Every purchase you make from SupportStore earns you rewards points that you can convert into donations to selected charities or discount rewards for money off your next purchase. Hundreds of SupportStore customers redeemed their Cash for Causes rewards in 2017 for donations to some of their favorite causes. Help us get 2018 off to a great start and redeem your Cash for Causes rewards points towards donations to selected charities or discount rewards for money off your next purchase.